We transport park and mobile homes, sites offices and shipping containers. All units are transported by highly skilled drivers and crews, using specialized low-bed trucks to ensure save delivery of your movable assets. Once on site we can erect and commission the buildings for use. 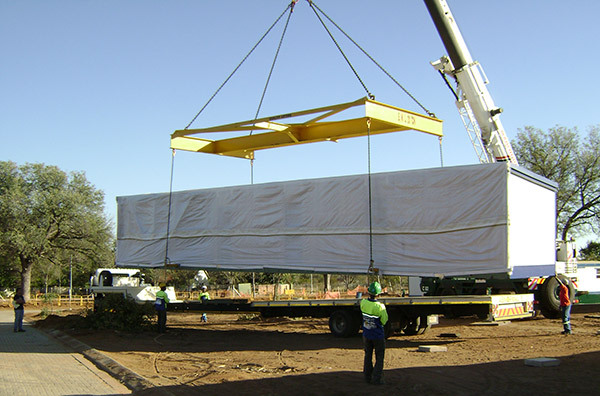 Erections and relocations are expertly undertaken by our highly experienced site crews who have successfully relocated entire villages and camps throughout Southern Africa.